Forget the rest, home smoked salmon is the best. Smoke salmon used to be a high days and holidays only treat when I was a nipper (a very, very, very long time ago) with my Father bringing it back once in a blue moon, wrapped in the Evening Standard. Mrs SF says she never had it as a child and it is now a particular favourite of hers (but she only likes the good and pricey stuff). 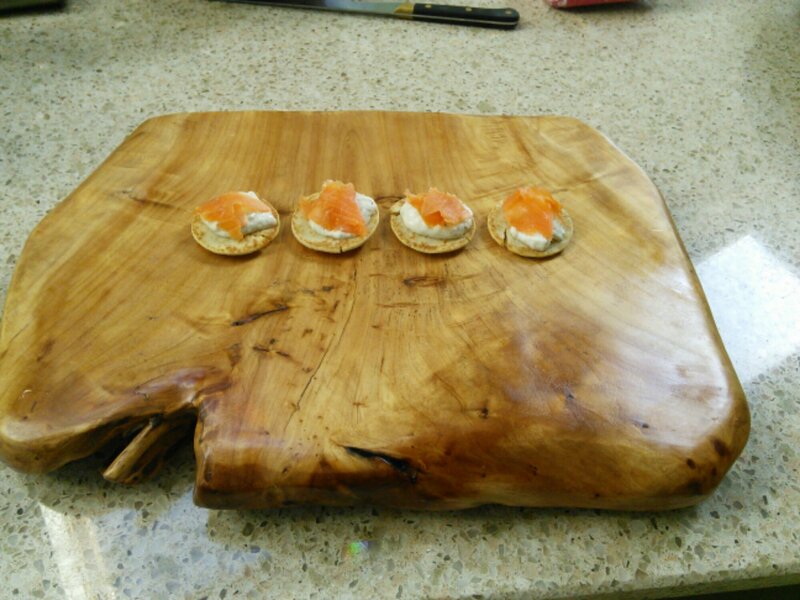 Smoked salmon is now everywhere and to me it has somewhat lost its luxury allure (Tesco value smoke salmon pieces anyone!). Even the supposed high end stuff in the supermarkets is often pretty indifferent, with only the artisan smokehouses , in my view, coming up with the goods (but at a hefty price). I do however really like the good stuff. 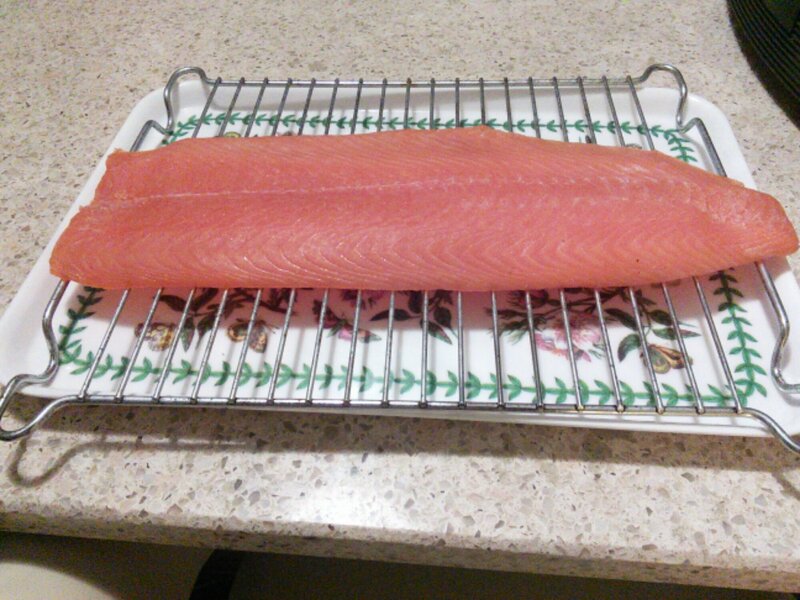 On a mission to save a bit of cash (Mrs SF calls it me being tight fisted – my toned down translation of her words ), whilst maintaining quality, I thought I would have a go at smoking my own salmon. To my joy and Mrs SF’s amazement (many brownie points earned – now only 999,999 in debt) the results of my labours were (if I say so myself) rather good and the whole process was surprisingly simple (with the use of an ingenious gadget – more on this below). ° 1 side of salmon ( I may post at a later date on the trials and tribulations I encounter in getting one this time). Mine, this time around, weighed in at 900 grams (about 2lbs) and I would say don’t go much smaller. If go bigger (a side is generally between 900 grams and 1.3 kgs – 2-3lbs) adjust the cure measurements proportionately. Make sure either you pin bone it yourself or ask the fishmonger to do it. These measurement are based on a 900 grams side. Adjust proportionately if bigger fillet (I wouldn’t go smaller). 200 grams brown sugar – use what you like – I find normal demerara is fine. 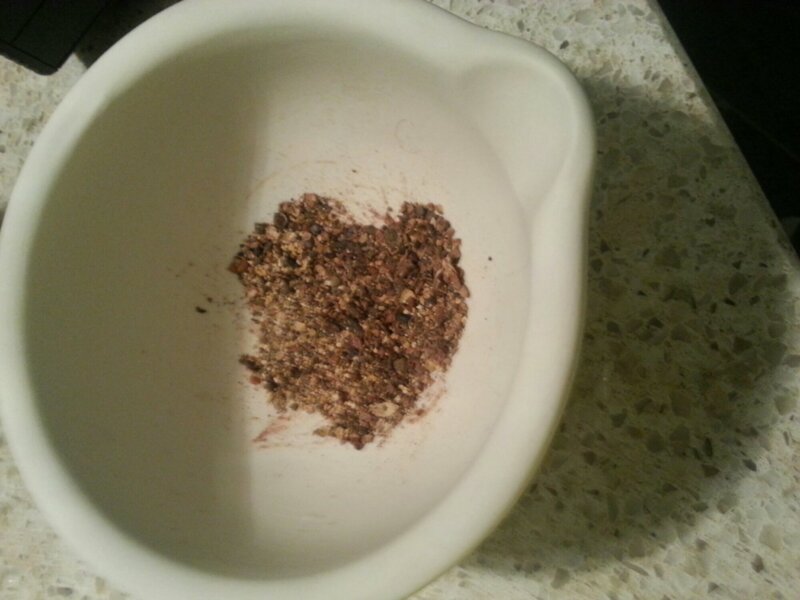 Crush the cloves, black pepper and lemon pepper and allspice berries in a mortar and pestle and mix with remaining cure ingredients, bar from the lemon juice, in a large bowl. Make sure you give the cure a good mix so the salt, sugar and spices are thoroughly combined . Cover with a tea towel until ready to apply. 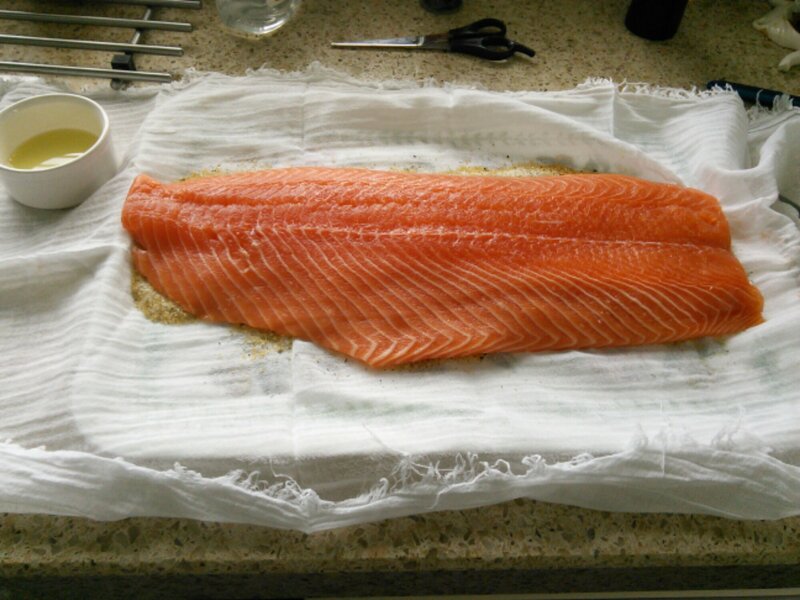 Place a muslin cloth (big enough to wrap up the whole fillet) on a lipped tray. 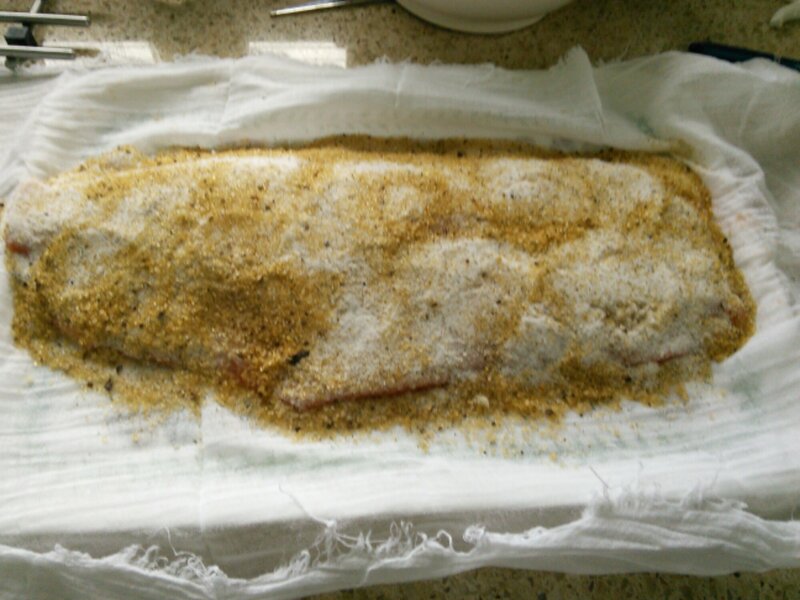 Spread a layer of the cure on to the muslin cloth and place the fillet on to the layer of the cure skin side down (make sure put several slashes into the skin). With a pastry brush, coat the top of the fillet with the lemon juice and then spread the remainder of the cure on to the top of the fillet (putting it thickest on the thickest part of the fillet and thinnest of the thinnest part). 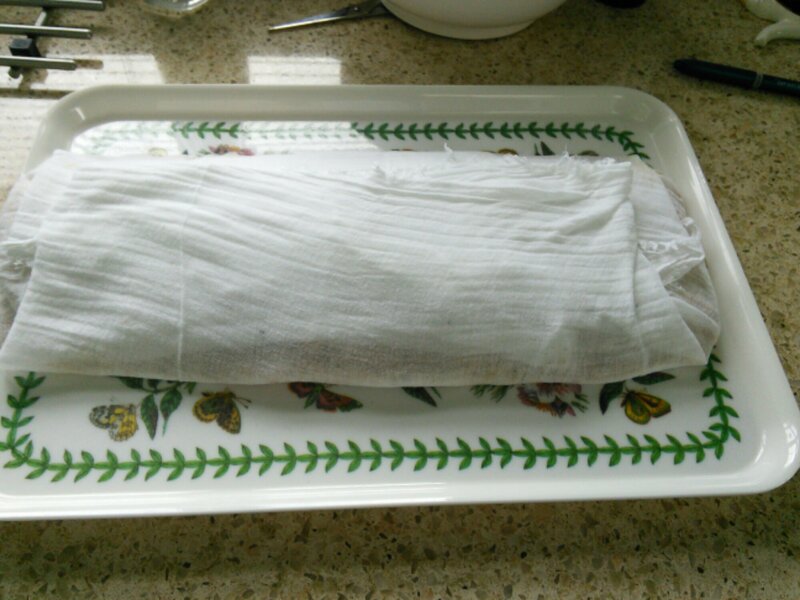 Pull the muslin around the fillet and place in the fridge for at least 6 hours (would not suggest leaving cure on for more than 8 hours). After the cure has done its work, there should be a fair amount of liquid on the tray – drawn out by the cure. This is perfectly normal and not a bad sign. After the requisite time in the fridge, curing, take the fillet out and rinse off the cure with lukewarm water. Pat dry the fillet with kitchen towel (it should be a fair bit more rigid than was before curing process at this point) and put it on a rack and place back in the fridge. Leave the fillet in the fridge for at least 6 hours (my preference is overnight). This is for the pellicle to form – a protein layer that the smoke can adhere to. 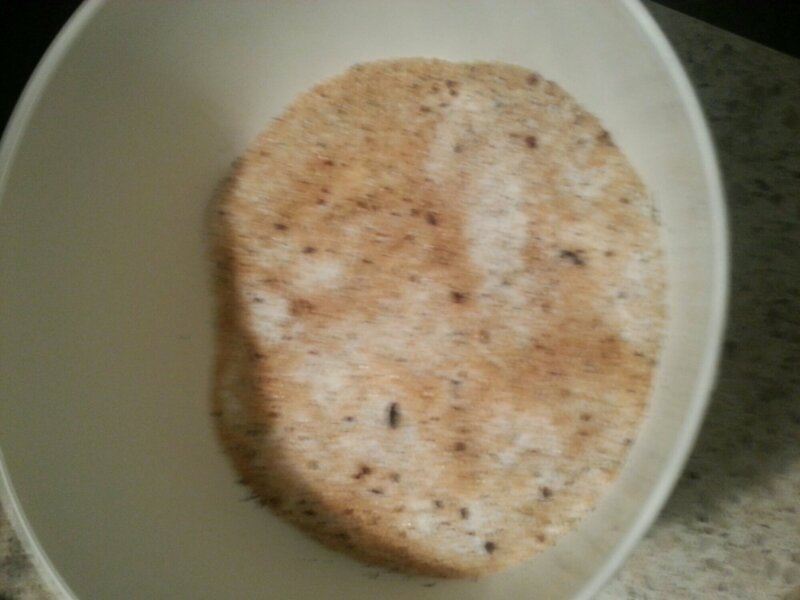 Once the pellicle has formed it is ready to go in the smoker. For this I use a Pro Q smoker, but any barbecue with a lid will do the job. 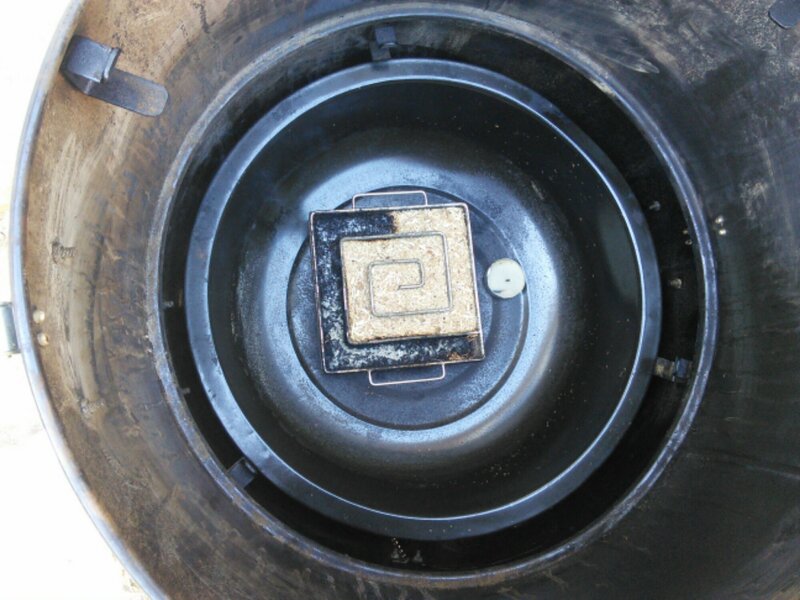 To cold smoke I use a Pro Q cold smoker which is a square wire mesh spiral tray that once filled with wood dust burns producing a cold smoke (no heat) for up to 10 hours. This is placed the the bottom of the smoker\lidded barbecue with the fillet on a rack above. For salmon I used apple wood dust, which imparts a mild smokey flavour to the fillet (cherry or oak also work well, but mesquite or hickory I find impart to robust a smoke flavour). The apple wood gives a light, quite subtle, smoke flavour. Leave to smoke for 3 -4 hours ( can smoke for longer, but the longer the smoke the more pronounced the smoke flavour will be). I like a milder, light, smoke flavour which allows the salmon’s flavour to remain to the fore, but this is a matter of personal preference and then place in the fridge overnight (this I find allows the flavour to develop further). It is now ready to eat. 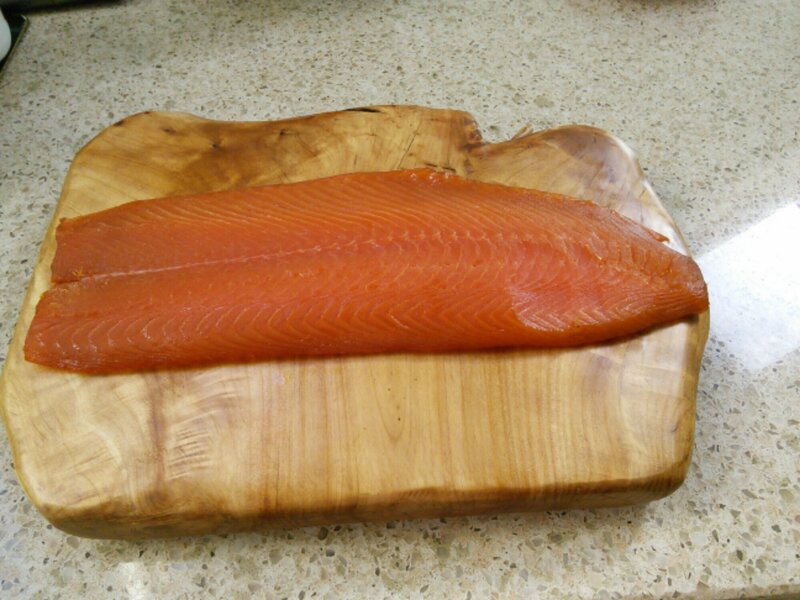 The result is better (according to my family – a tough crowd I can tell you) than the best supermarket smoked salmon and nearly as good (according my mother – there is no harsher critic) as a £40 side brought from a specialist smoker outfit (Mrs SF actually prefers mine). Mr SF loves it with scrambled eggs for breakie or as a canape with a blini topped with crème fraiche mixed with horseradish and fresh dill. I like it in a salad for my work lunch (a little goes a long way flavour wise). It is also good with pasta.. It will keep in the fridge for about 2 weeks , but it can be cut into portions and frozen for later use. Also when you get to the end of the fillet and carving slices gets tricky the trimmings make a lovely pâté simply by blitzing the end bits of the fillet (cut into cubes) in a food processor with cream cheese, lime juice, black pepper and fresh dill). It really is so easy to make for anyone with a lidded barbecue and so worth it (and very cost effective – I ignored tuts from Mrs SF as wrote that). Price wise is about half that of a good side from a specialist retailer and much cheaper than buying multiple 100grams packs. You can also smoke it to your own personal taste. 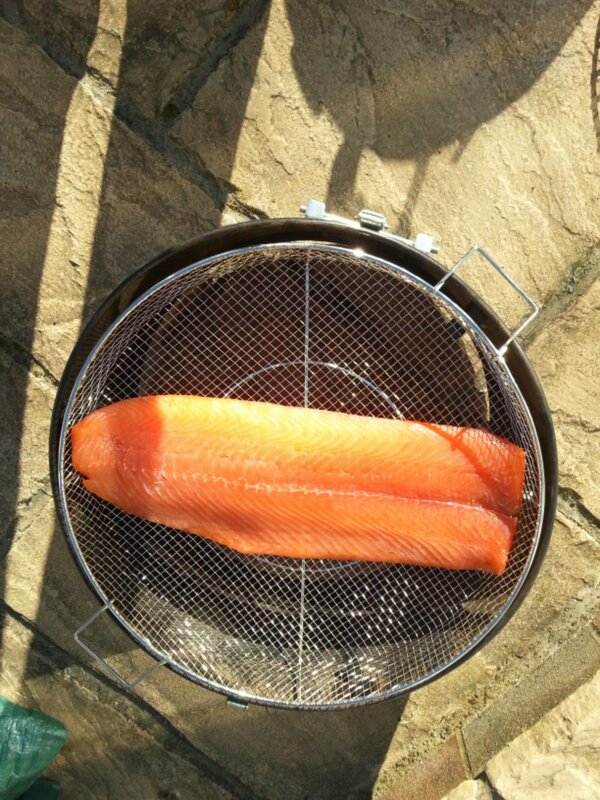 As title suggests, home smoked salmon is really the best. 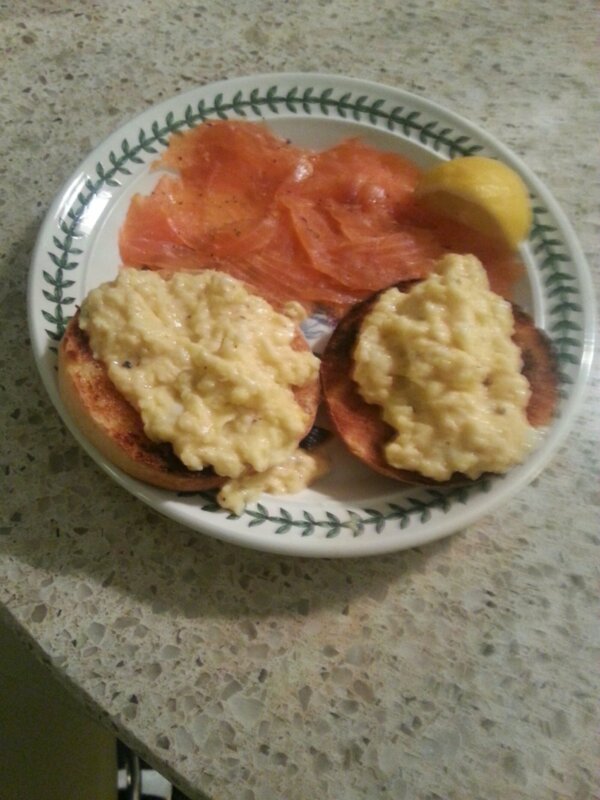 Breakfast with home smoked salmon - what could be better. This entry was posted on Mar 16, 2014 by solicitingflavours in Barbecue, cold smoking, curing, Food and wine products, home cooking, Pro Q, Smoker, Wales.